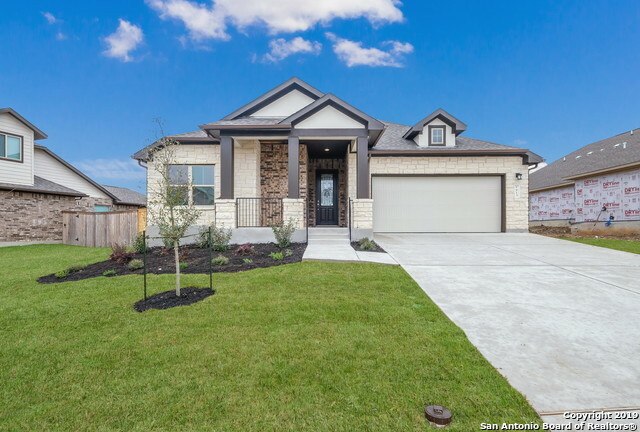 All FOXBROOK homes currently listed for sale in Cibolo as of 04/25/2019 are shown below. You can change the search criteria at any time by pressing the 'Change Search' button below. "The Kirby floor plan captures eyes as soon as you walk in from the front porch into sky high ceilings. Entry way and family room feature 18ft plus high ceilings. 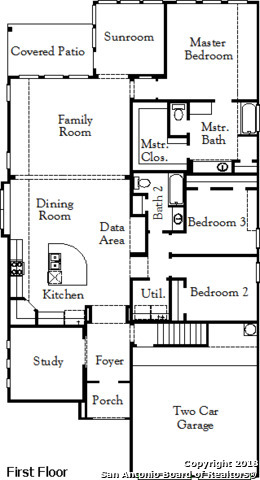 Private study leads into the open kitchen and family room. White cabinets and glass back splash compliment the kitchen. Master bathroom features a luxury walk in shower. Upstairs features game room and gigantic media room. Backyard large enough to fit a pool. Foxbrook is only gas comm. on 1103! Available May 2019." 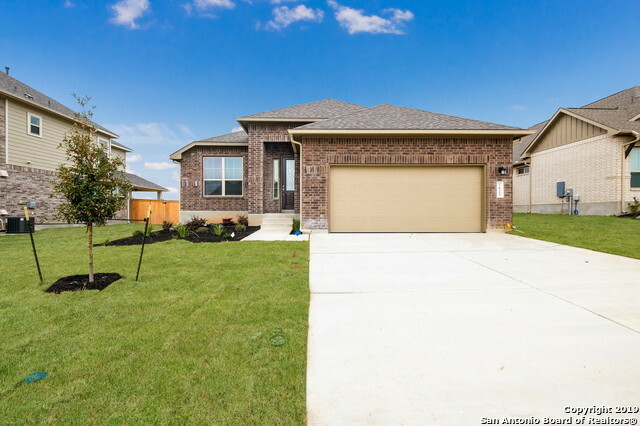 "This is an impressive one-story home featuring a gallery entry, flex room, and family room open to a grand kitchen and dining area. The home also includes an elegant master suite with a bump out, three additional bedrooms and two additional bathrooms. Family room features central fireplace, sliding glass doors leading to the rear covered patio. Foxbrook offers amenities perfect for a growing family with its community pool, walking trails and playground. Projected completion October 2018." 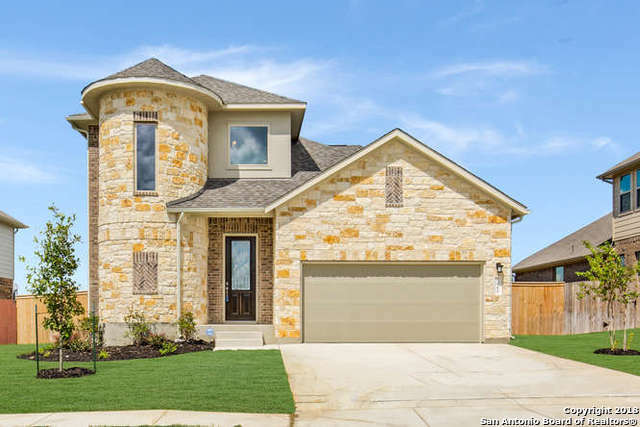 "Modern single story with stucco stone and metal roof accents. Gallery entry with coffer raised ceiling leads you from the secondary bedrooms into the kitchen. 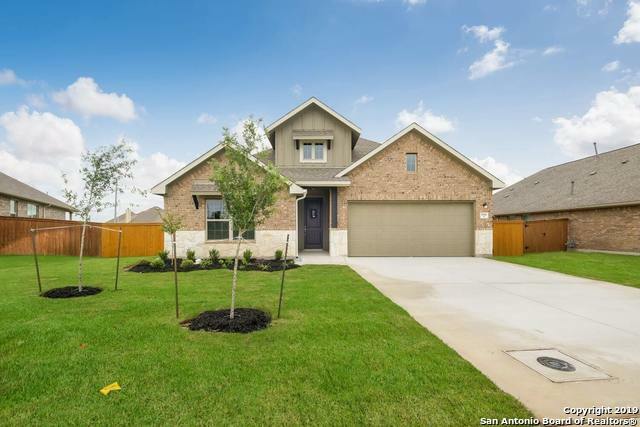 This home is designed with wood like ceramic tile, master bedroom windows overlook our greenbelt. Master bathroom features double vanities along with a walk in shower. This Cameron offers an open kitchen into family room. Covered patio equipped with a gas BBQ stub out perfect for entertaining. Only GAS comm. on 1103. Available May 2019." "Modern single story with stucco, stone and metal roof accents. Gallery entry with coffer raised ceiling leads you from the secondary bedrooms into the kitchen featuring white cabinets and open to family. This home is designed with Wood like ceramic tile, master bedroom features a coffer raised ceiling and an elegant bay window. Extended covered patio equipped with a gas BBQ stub out perfect for entertaining this holiday season! Foxbrook community is the ONLY GAS cooking off of 1103. Available Ma"
"This beautiful home has great curb appeal. Walking down the foyer you pass the secondary bedrooms and bathroom. The study is located on the left at the end of the foyer.The built in stainless steel appiances with a gas cooktop and large island is a great place to eat, or entertain your guests. The master en-suite is located at the back of the home with a walk-in closet. You will want to spend your afternoons and evenings on the oversized patio, that is shaded late in the day." "This gorgeous home with an elegant stone elevation is located near the community pool. 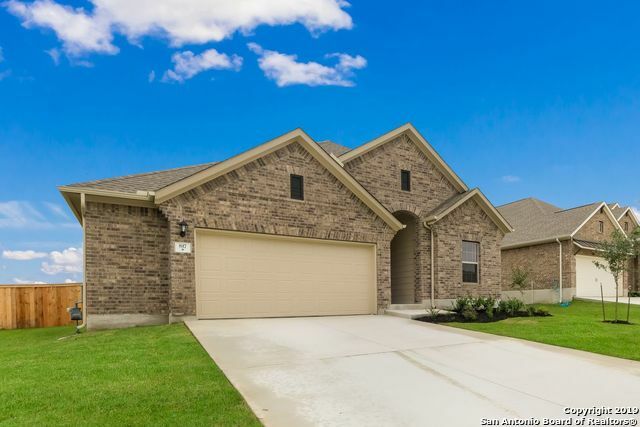 Throughout the home you will see 12' ceilings and beautiful 17 ceramic tile flooring throughout the main living areas. Through the entry, you are met with a spacious kitchen that opens up into the dining and family rooms. The kitchen features a large island, 42 cabinetry, custom backsplash, and stainless-steel appliances. Also on the main floor are 3 bedrooms, 2 bathrooms and a gorgeous study. 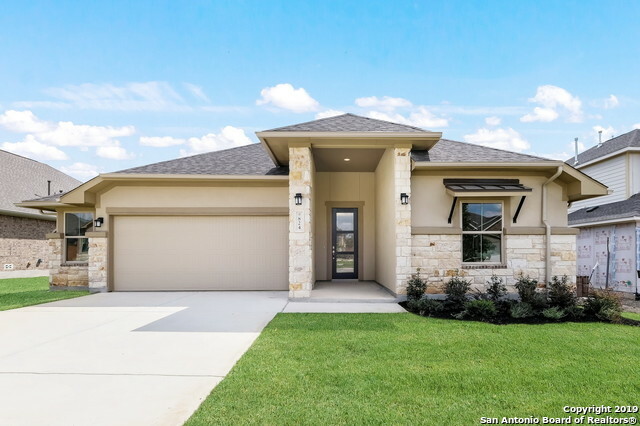 Entertain guests"
"This beautiful Bandera is an open floor plan single story home featuring three bedrooms, two bathrooms, a large kitchen, casual dining area, formal dining area and a covered patio. Master suite features bay windows, large glass enclosed walk-in shower and expansive walk-in closet. Family room features central fireplace, tall windows and a back door leading to the rear covered patio. Foxbrook offers amenities perfect for a growing family with its community pool, walking trails and playground. 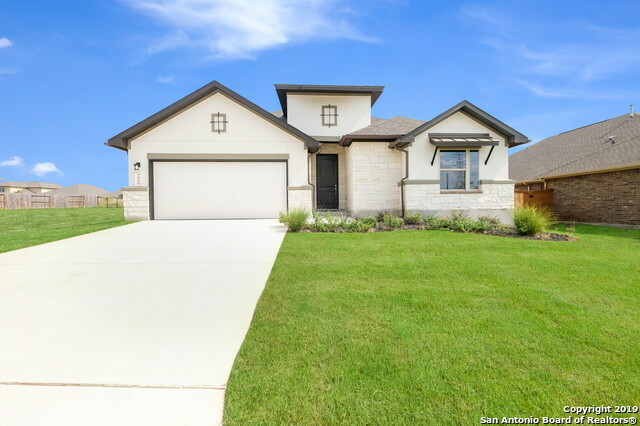 Pro"
"Come see this charming open one-story home on a greenbelt in Foxbrook, the best community in Cibolo. This home has beautiful hard wood flooring throughout all main living areas. The family room and kitchen are the center of attention. The gourmet Kitchen includes 42-inch tall cabinets, granite countertops and stainless steel appliances with a gas cooktop, perfect for the chef of the house. The secluded master bedroom is at the back of the house and the master bathroom has a large garden tub with"